Call Visionology NOW and see why we’re one of the highest rated family optometrists and eyeglasses providers in Utah. Our eye doctor provides professional eye exams with personal attention and quality, fashionable eyewear with Zeiss lenses. Includes comprehensive eye exam + $150 savings on glasses! Includes everything above + contact lens exam! It’s simple. Just call our office and mention this offer. You’ll pay just $55 for a comprehensive, professional eye exam (a $126 value). You’ll also save $150 on any pair of prescription glasses! Choose from any of our frames including Jimmy Choo, Prada, Ray-Ban and others. Choose any lens options you want, including sunglasses. Create your own amazing pair of glasses and enjoy a five-star experience with our amazing team of eye care professionals. Wear contacts? Talk to us about our equally awesome deal for contact lens wearers. Pay $85 for the comprehensive eye exam and the contact lens exam (a $186 value). Plus, get the $150 savings on a complete pair of glasses! The only fine print: $150 savings applies only to a complete pair of glasses – frame and lenses, and cannot be transferred to contact lens purchases. Not valid on non-prescription sunglasses. Cannot be combined with insurance or other offers. Visionology welcomes you to a revolution in eye care and eye wear. We want to provide the best vision available in the world, right here in Draper, Utah. Using the latest in lens technology from Carl Zeiss Vision, the world leader in optics, our eyeglasses give you unprecedented visual clarity. With our i.Scription technology, your vision at night is clearer and colors are more vibrant. Come in and let us show you your visual potential. We are the clear vision experts. No one offers a more comfortable and convenient eye exam in Utah. We listened to you, our guests. We know that your time is valuable. That’s why we offer retinal photography, which can be used in place of dilation in most guests with no air puff test! That means you get back to your life fast without any annoying side effects. We are located in Draper, Utah – A short drive from Salt Lake City, Sandy, Utah County and the surrounding areas. Come in and see us, clearly! What makes Visionology’s eye doctor different? Meet Our Optometrist. Discover your own style with the perfect frames. Find unique, quality crafted eyeglasses with modern optics. Be yourself, be noticed, be amazing! Our collection of eye exam technology provides the most comfortable and enjoyable vision correction experience in Utah, for adults and kids eye exams! Our exclusive ZEISS® lens technology gives you clearer night vision and more vibrant colors. See just how much better life will be with ZEISS® lenses! “Love, love, love Visionology! The people are just incredible!” – Kristin J. 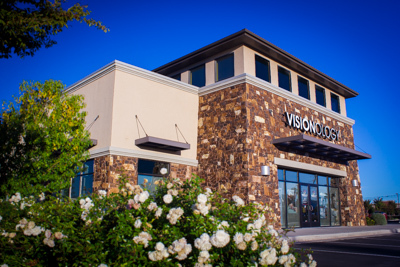 “This is really the best place you can go to for vision care! !” – Alexander G.
“This is by far the best vision center you can go to, hands down!” – David R.
This has been the best experience I’ve had with an optometrist. The entire staff was kind and helpful in getting both my glasses and contacts selected and filled. I have had many exams and glasses over the years but this is the best experience I have ever had. My glasses are the crispest and clearest I have ever had thanks to the new technology. 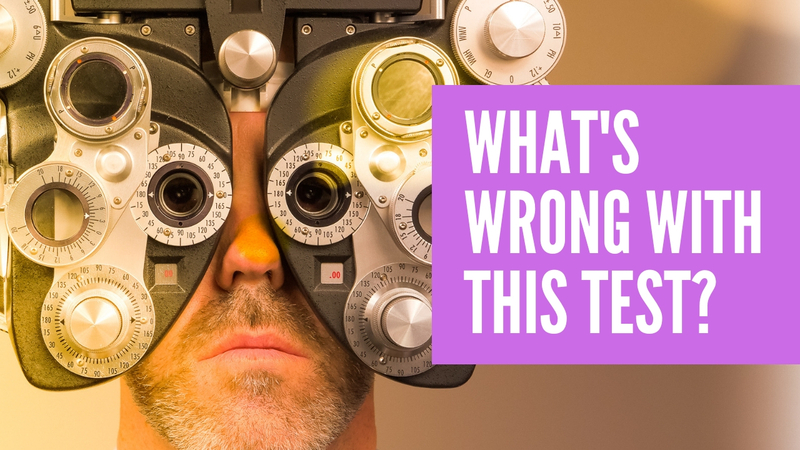 Dr. Peterson, Visionology’s optometrist, wants to give you the easiest eye exam you’ve ever had. We take the time necessary to ensure each patient feels calm and taken care of during our eye exams. We take pride on performing a calm and comprehensive eye exam. The comfortable atmosphere at Visionology’s Draper office gives you peace of mind. To request an eye exam, click make an appointment below. We would love to hear from you and answer any questions you may have. Everyday we strive to provide the most comfortable and pleasant vision correction experience in the world. We are successful only when guest expectations are exceeded. Our company thrives on guest-centered principles and shuns doctor-centered decisions. Everyday our team members dedicate themselves to the fulfillment of this mission statement. Conveniently located just one block west of I-15 on 12300 South. Ample parking right at our front door. Handicap parking and ramp available. Call us day or night! If we miss your call, our phone system will offer you a texting option so we can better serve you!